Further to Elaine Robinson's email and the picture it contains. 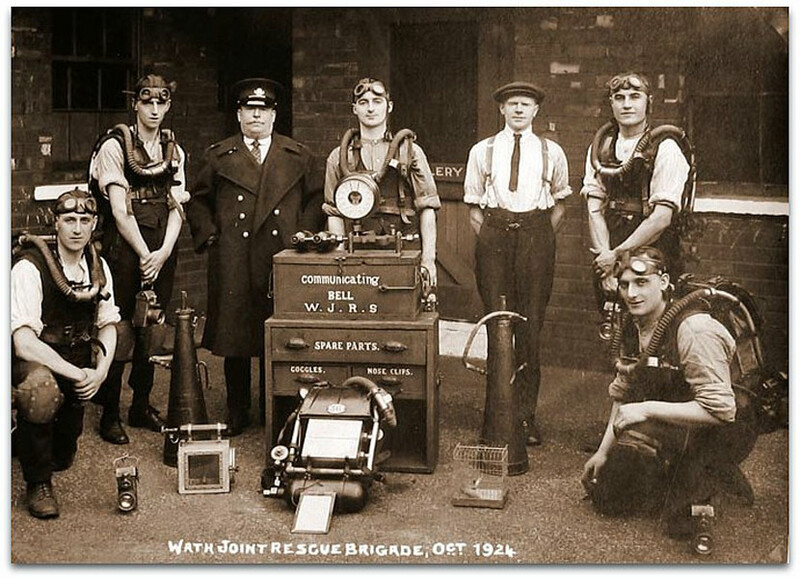 This is in fact a picture of the Wath Joint Rescue Service, with, probably, Mr Berry dressed in black in the back row. I have some photos from a collection left by my Great Aunt Gladys Winch and have found another of the same team. I have attached it below. I am told that William George Newcombe Winch became a Mining Engineer and I wonder where I would need to look for information about his qualifications and career. I know that he ended his life with a stiff leg after being caught up in a fall which injured him. 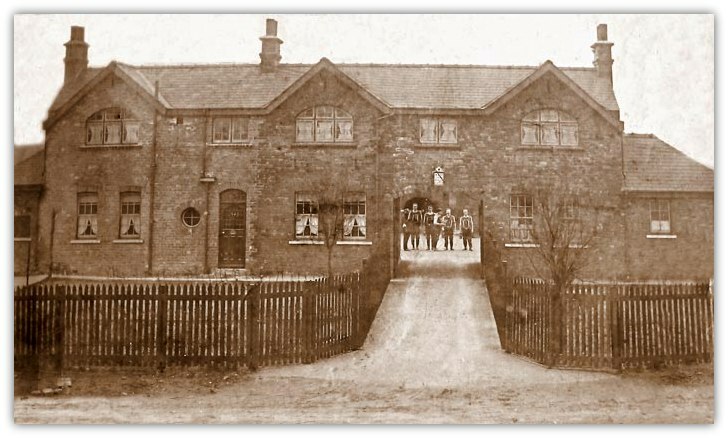 and seen through the archway of the rescue station in 1912. The album that it was kept in included the following information written by Gladys Winch. "Station had been projected as early as 1906. Opened in 1908. Not compulsory under the C.M.A until 1911." Third from the left William Charles Winch (Sgt. Instructor) He was involved in training men in 'new' rescue techniques since the inception of the Rescue Station in 1908. (known as George because he had the same first name as his father). Please find attached a photo from the Wath on Dearne Joint Rescue Station similar to the one you have on your site. As well as the two men you have identified . 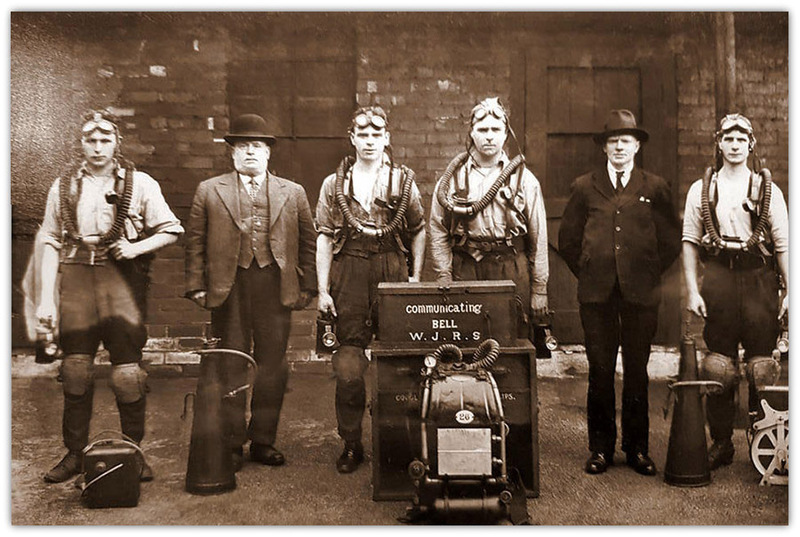 . . the man fourth from the left on this one is Tom Jones, a mining surveyor who worked at Denaby and Cadeby before moving to Water Haigh at Woodlesford in the 1940s. Tom was the grandson of another Tom Jones whose story is here. 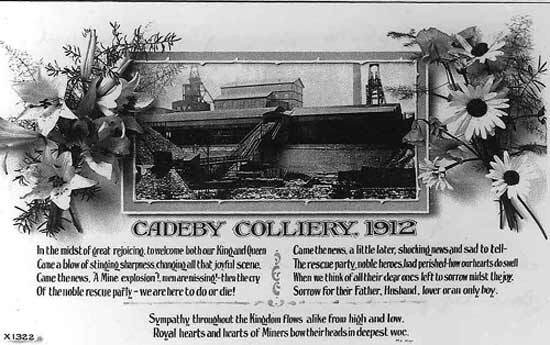 The news cutting is likely to have come from a paper that was local to Wath on Dearne/Cadeby, published soon after 13th August 1913 which was when the investiture occurred at Buckingham Palace. The paper unfortunately got the names of the men in the wrong order, but you may be able to put names to the faces W.C.Winch, is furthest left in the picture. The album, is now with my uncle in New Zealand. I was interested to read the account of the coroners court proceedings in which W. C. Winch described his 'lucky escape'. My feeling is that he might have been saved by his army training. He had joined the 2nd battalion of the York and Lancaster Regiment as an 18 year old in 1885, becoming a Colour Sergeant by the time he left the army in 1908 to set up the Wath Joint Rescue Station. William survived the second explosion, on feeling the blast of air that preceded the second blast his instinct would have been to hit the ground. He was based in Sheffield for a time and served in Nova Scotia, the West Indies and the west coast of Africa, St. Helena, Natal, the Cape, Mauritius and India. Keep up the great work. These fantastic people deserve to have their memory celebrated and their stories told for the rest of us to read. I remember coming up to Wath around twenty five years ago, walking into a pub to meet a mate (who did not turn up) and talking to local miners who knew about William Charles Winch. 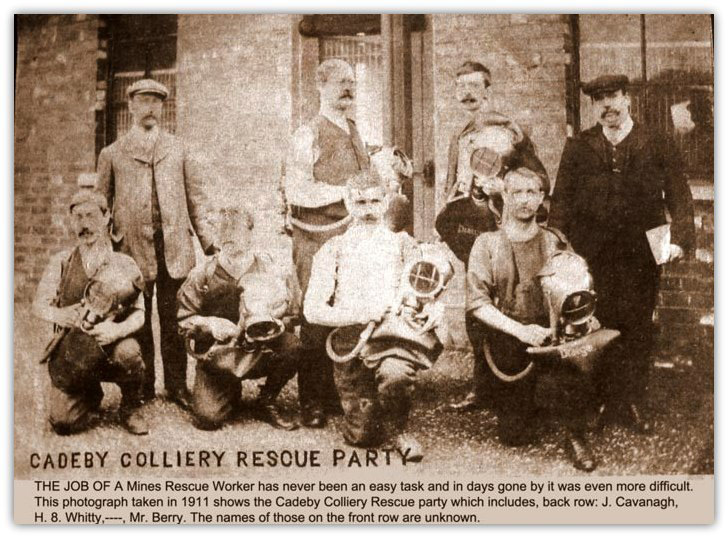 They were so grateful for the existence of the rescue teams, had many, many stories of life underground and would not allow me to buy a pint all day. Needless to say, when it was time to go home I was a mess!